Spark creative energy in a child by sharing the gift of art. Have a ball coloring original dog drawings by Melissa Langer. 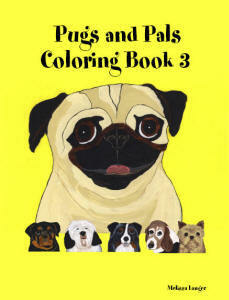 Each coloring book has 30 images to color... 11 Pugs and 19 Pug Pals per book! 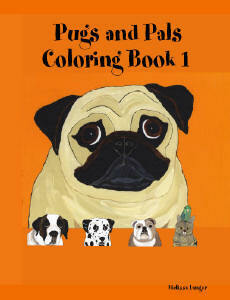 11 unique Pugs (not found in book 2 or 3) + Shitzu, King Charles Spaniel, Poodle, Doberman Pincher, Boxer, French Bulldog, Cardigan Corgi, Scottie, Jack Russell, English Bulldog, Chow Chow, Dalmatian, Beagle, St. Bernard, Akita, Border Collie, Affenpinscher, a bird and a cat. 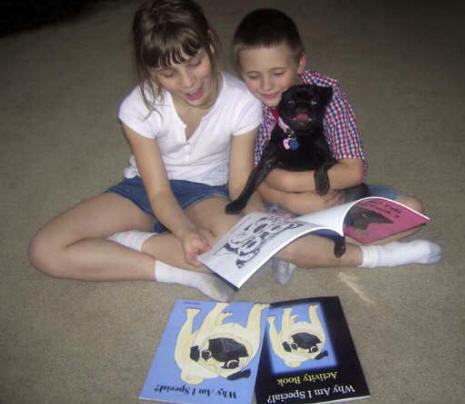 11 unique Pugs (not found in book 1 or 3) + German Shepherd, Airedale, Basset Hound, Chihuahua, Yorkie, Labrador Retriever, Brussels Griffon, Cocker Spaniel, Great Dane, Pembroke Corgi, Japanese Chin, Schnauzer, Pekingese, Pomeranian, Husky, a bird and cats. 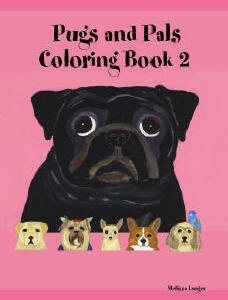 11 unique Pugs (not found in book 1 or 2) + Boston Terrier, Labrador Retriever, Brittney Spaniel, Bernese Mountain Dog, Norwich Terrier, Shar-Pei, Golden Retriever, Collie, Westie, Bull Terrier, Sheepdog, Maltese, Rottweiler, Chinese Crested, Basset Hound, Puggle, Australian Shepherd, a hound mix and cats. 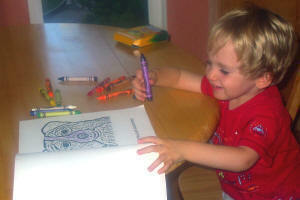 30 images per book to color. 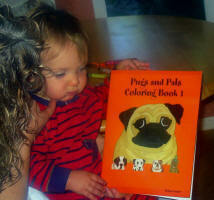 Learn the breeds as you color. Every animal is clearly labeled.